Is Toei regretting Crystal's initial concept? But as far as I know France is the only country who bought Crystal 1 and 2, but didn't get 3. It is true they were broadcast on a kiddy channel and the tv version had cuts here and there, but the dvd/blu ray release was splendid.So I assume Crystal didn't get that good reception in France. Bu Italian community liked the subplot as well. I fund the idea contrived, I still think it should have been just Venus and Kunzite as it was very slightly teased in Sailor V manga, and the way they written off was laughable. Metalia was both in two times at once, killing the kings in one blow but leaving the senshi be, while they were 10 feet away and then disappeared. I disagree with Neon Genesis the story is not complete there are tons of stuff they could explore. Like for one do a season showing how Crystal Tokyo came to be and how the Earth froze, they could do a story with reference to the Galaxy Cauldron, Sailor Cosmos and Chaos. They could adapt some of the original Sera Myu stories, Another Story, the PC Engine game or even Codename Sailor V just 90s styled and add in the London arc along with the manga's stories. Also to Star Angel Haruki I never liked the real time attacks I always preferred the fancy attack animations and in fact that was one of the reasons I fell in love with the series as it was so flashy and beautiful and I liked how they brought back the fancy attack animations in season 3. I don't mind the stock footage in some scenes. I hope they don't do it for the movie. It will eat up too much time doing stock footage one after the next. I'd love to see a Flame Sniper in real time though for the most part. I hope it's super powerful in this film too. I think if they make the senshi use their old attacks somehow they won't make stock footage attacks because the art style will be new and will look jarring. Mars fire attacks always looked cool in Season 1. It will also give us possible variations of the same attacks, and I don't think it means they won't be using pretty cool animation outside the stock footage format. It will work better in theatrical medium, at least in my opinion. I think the best solution would be to have the transformations and attacks be stock footage style once and then if used again have them as real time attacks. Thats for the movie though. I wonder if how Moon Gorgeous Meditation will look? Chibi-Moon is apart of the attack now oh and we will have a duo Crisis Moon Makeup. I hope we get something interesting like the Universal transformation but just animation wise. I think the movies will look cool with that. Even some of Toei's older Dragon Ball films had nice fluid stuff. Just hoping the new staff can get things going good. If Mercury Aqua Mirage is any indication, I imagine Moon Gorgeous Meditation will probably look like it did in the SuperS movie. I have no idea who the designer is but this is the look that look the most to classic sailor moon to me, something about the eyes. I've seen last year's Precure movie and honestly i wasnt very impressed. While the animation was pretty fluid the quality didnt seem all that great. I would say that One Piece tv specials have higher quality (imo). But the most jarring were the designs. So cartoony and cutesy. Bleugh. Hope Crystal movies dont look this sugar-like. well, i don't find pretty cure style suitable for sailor moon - the manga has always pretty etheral and dark, but I wanna see at least as much efort put in it. This is toei last chance for clean start - new style, new format. I have a feeling this time they will get it right - third time is a charm. But the most jarring were the designs. So cartoony and cutesy. Bleugh. Hope Crystal movies dont look this sugar-like. Each season has a different character designer with a different art style. Those are Toshie Kawamura's designs and the attack is animated by Naotoshi Shida. Her style for the illustrations for that particular season have changed quite a bit throughout the years. Very detailed hair and eyes, etc. I was actually hoping she'd do the designs for Crystal back when it was first announced, if nobody from the 90s anime was available. 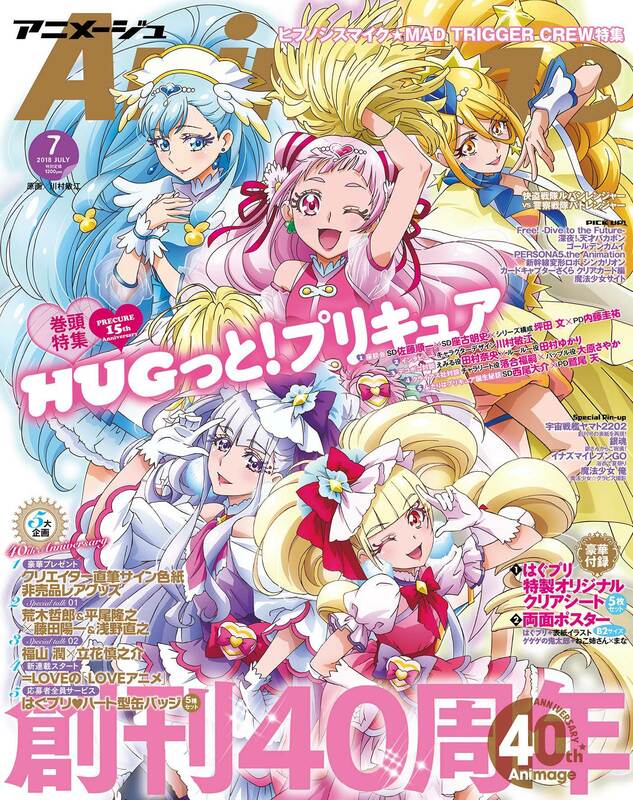 Again, it's a stretch to credit Glitter Force for a rise in Western importing of Japanese PreCure merchandise or home video sales. For one thing, it wouldn't make sense for Western fans to start importing merchandise of a 2015 PreCure show because they started watching a localized dub of a PreCure series that originally aired in 2013 and this is mixing correlation with causation without any hard data of what the streaming ratings for Glitter Force were like for Netflix. It's more likely Western imports of Japanese merch increased in 2015 because a lot of Western fans watched fansubs of Go Princess PreCure which is widely regarded as one of the most popular PreCure shows. Actually, no, It's not the fansub, Heartcatc Precure much popular than Go Princess and their was no high in profit in west. 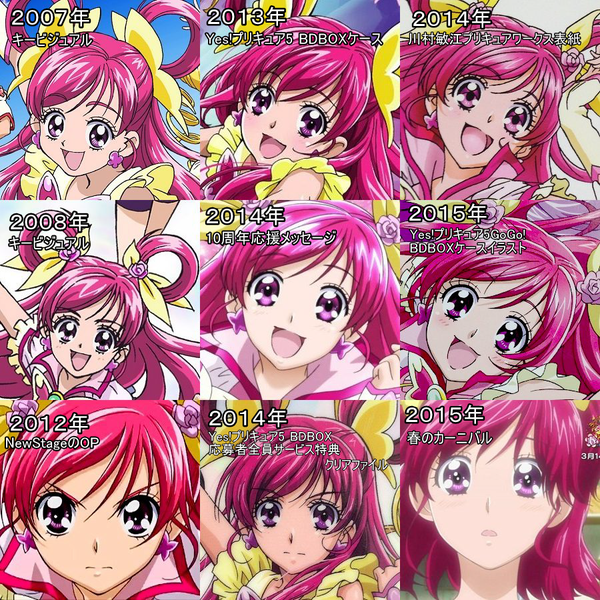 and actually Mahou Precure and Kirakira where mess but the money as the same in 2016 and 2017. You didn't understand the financial report, it's not the merchandising who make profit for to Toei in the west. it's the licensing. the only other years where Pretty Cure made money in west was when Italia buy some season of the show. Saban(and now Hasbro) pay Toei animation every years to air Glitter Force, don't forget Gillter France is aired in a big amount of country (france, russia, Italia, US, spain, germany), for each country where its aired, Toei receive money. [QUOTE="ery detailed hair and eyes, etc. I was actually hoping she'd do the designs for Crystal back when it was first announced, if nobody from the 90s anime was available. If you're claiming Glitter Force is a success simply because a company bought the license, that is not how a success is defined in the slightest. It's a success for Toei animation, Toei animation have no need GlitterForce to be hugely successful in west, they just need the money that come from the llcence, even if it's butchered and Hated by some people, I gain many and many money. And if Hasbro brought the licence and Netflix still have the serie on their broadcast, I assume the licence gain some money. As said it's broadcast in many countries and the netflix format make it available everydays at every hour. Gliier Force and every other Pretty Cure would fail anywhere on streaming service. The show mainly target prescholers and elementary schoolers that watch morning and Sunday cartoons on tv. The license didn't bring much either - as part for package deal, for streaming service. License for tv broadcast and home video release wold cost much more. If Toei cared about licensing that much they would have worked harder releasing Crystal as it has been released in USA, China, Portugal, Italy, France, German, Ausralia and now Mexico - there might be more. Toei care about domestical market, get money from Bandai to keep it going every year and get all the revenue. With Crystal, even if it made close revenue due to releases overseas etc. has to be split in 3 or more, as it is confusing who is owning what. ^ Yup, & that's a Canto-pop idol group, BTW. Gliier Force and every other Pretty Cure would fail anywhere on streaming service. The show mainly target prescholers and elementary schoolers that watch morning and Sunday cartoons on tv. The license didn't bring much either - as part for package deal, for streaming service. A financial number are here, Glitter force is a big financial success for Toei, why so much denial. And actually, Studies showed than people under 25 watch more netflix than TV. Actually, in France, show like Wakfu season 3, the last Air Bender, Starwars clone wars and the lastest season of My little pony Frienship is magic are nearly Netflix exclusive. My little Pony and Clone were even even never been aired during Sunday morning but during afternoon and on paid channel. If Toei cared about licensing that much they would have worked harder releasing Crystal as it has been released in USA, China, Portugal, Italy, France, German, Ausralia and now Mexico - there might be more. Toei care about domestical market, get money from Bandai to keep it going every year and get all the revenue. And it's false to Think Toei is interested only by domestic money, they made most of the saint seiya anime since Omega for Western audience(the idea of Saint seiya Omega came from the director of Toei France and Soul of Gold was made in Asgard because Asgard was popular in west, they made Harlock movie for Western audience, they even made Broly come back in the next Dragonball movie because Broly is popular in West. They are also making the Saint seiya Netflix series for western audience. If Crystal don't have more licence, it's just because nobody want crystal.